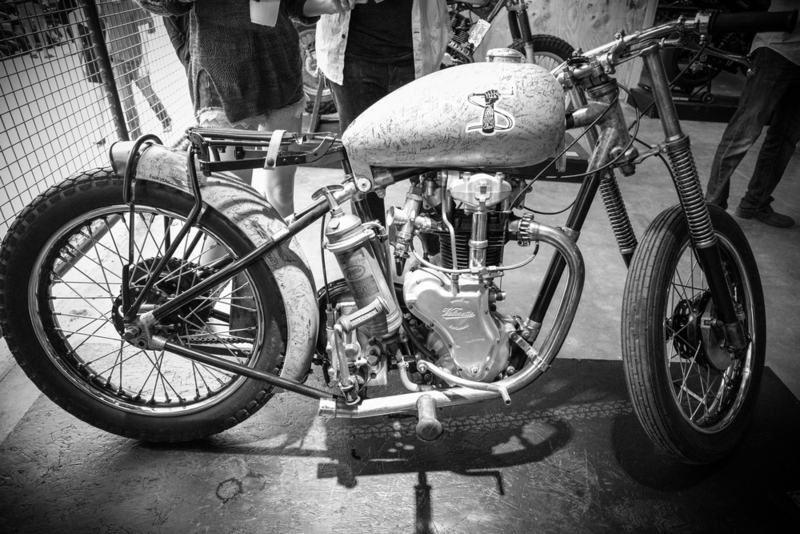 Recently I had the opportunity to drop by an awesome custom motorcycle show in east Austin. 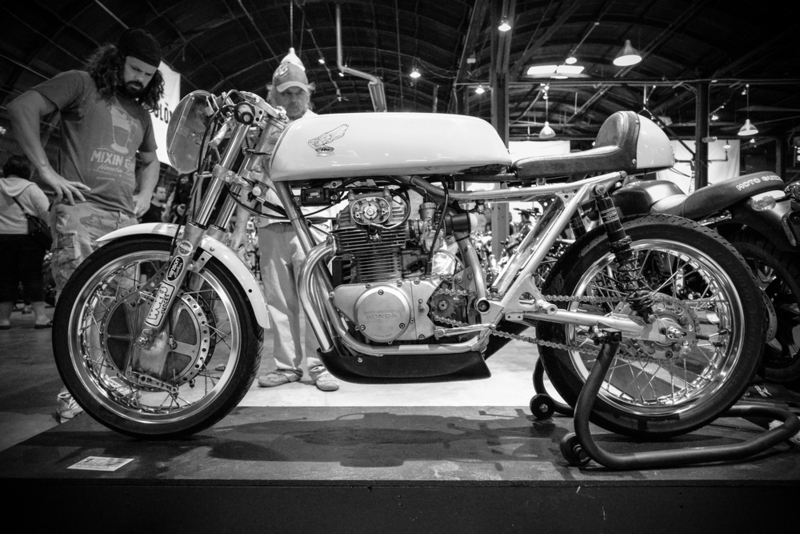 The Handbuilt Motorcycle Show was put on by Moto Guzzi and Revival Cycles during the annual MotoGP weekend held at the Circuit of the Americas track in Austin. 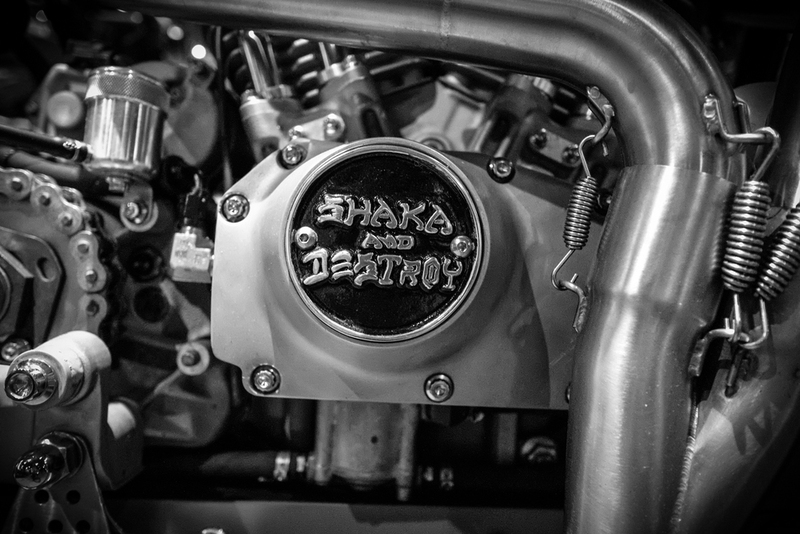 There were so many amazing custom bikes at this show! I only had a couple of hours to spare that day and it wasn't near enough to really take in everything. With my limited time I made my way through the show looking for things that stood out. 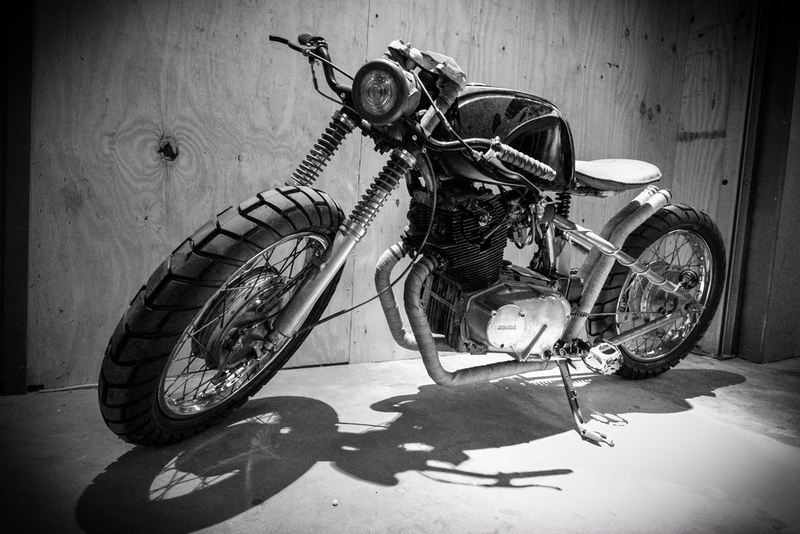 Lately I tend to gravitate toward grittier raw designs over more polished and painted bikes. I was not disappointed at this show. Here are a few favorites. 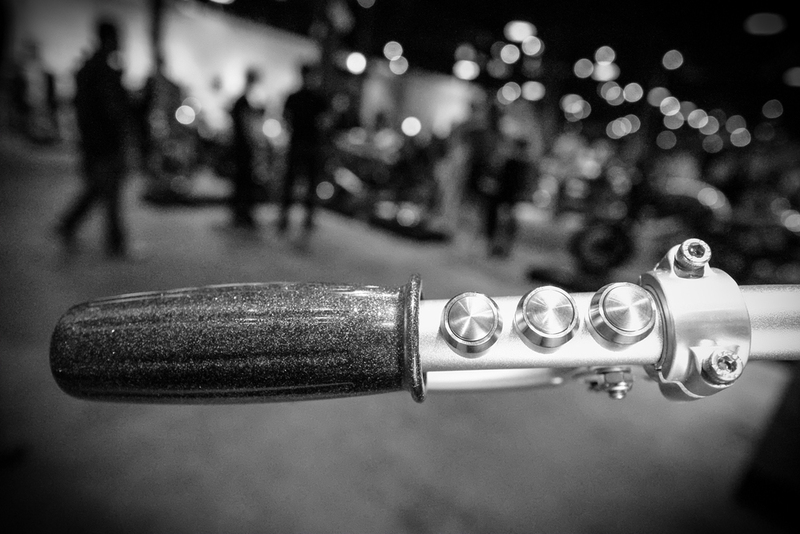 I could easily have spent several hours just taking pictures of the details on some of these bikes. Next time I'll definitely schedule more time and bring a macro lens to get up close on the small ornate details. Here are a few things that caught my attention as I meandered around. All images were taken with my Fujifilm X-E1 and the 14mm XF lens. The wide angle helped me to get in close and still capture full shots of the bikes while limiting the distraction of all the folks standing around the machines. The shots were captured as black and white JPEGs in-camera and adjusted slightly in Lightroom.